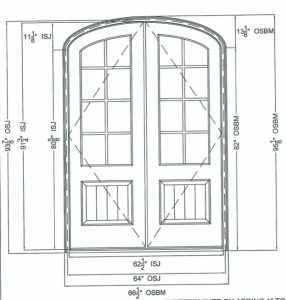 Salem Windows and Doors has worked with some of the best custom home builders and remodeling specialists in NC and VA. While our main showroom and services are headquartered in Kernersville, North Carolina, our reps work with home building and construction companies from Winston-Salem and all of the Piedmont Triad communities of Greensboro, High Point, Walkertown and more. We frequently deliver top, quality Marvin Windows and Doors products to job sites from Boone in Watauga County, to Banner Elk and Beech Mountain in Avery County, West Jefferson and most of Ashe County as well. We additionally service all of Forsyth, Guilford, & Davidson County. We often work at lake communities including Badin Lake (Davidson, Stanley & Montgomery), High Rock Lake (Davidson & Rowan Counties) and Lake Tillery (Montgomery County). Our process is to offer hands-on and detailed take-offs in order assist the builder with accurate estimates and avoid issues during and after the job. Unlike “order takers”, which you might find at a lumber yard or hardware supply store, we are solely dedicated to finding the best product for your job. We feel this adds value to the building professional because it avoids costly delays and mistakes and the end user is getting the best value possible.